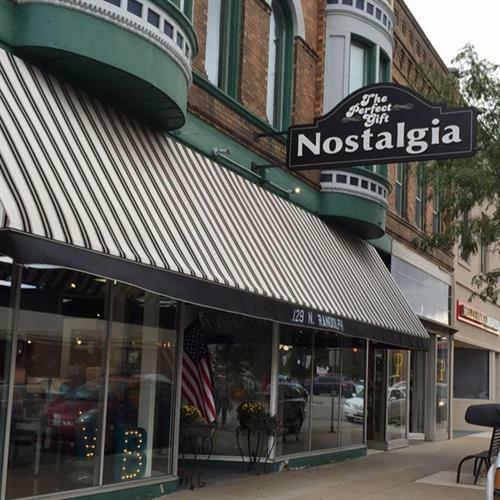 Nostalgia Decor & Gifts and features a Hallmark Gold Crown, is a charming boutique located in the heart of Macomb, Illinois on the historic downtown square. 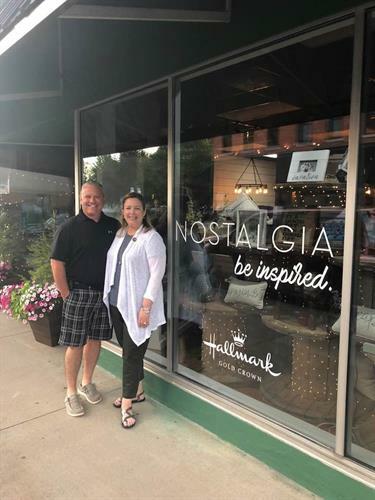 Nostalgia pulls together lines and creates beautiful displays with the idea that the customer experience is everything. Whether you are shopping for friends, family or yourself, we want to inspire you. You’ll find lines such as baby, cards, men's and women's accessories, home decor, candles and fragrance, skin care, kitchen and gourmet. Some of our favorite brands we carry are Kate Spade, Lilly Pulitzer, Mud-Pie and Hallmark. We also offer free gift wrapping so you are ready to go! You don't have to leave Macomb to find super cool gift ideas or irresistible finds for yourself, friends and family.